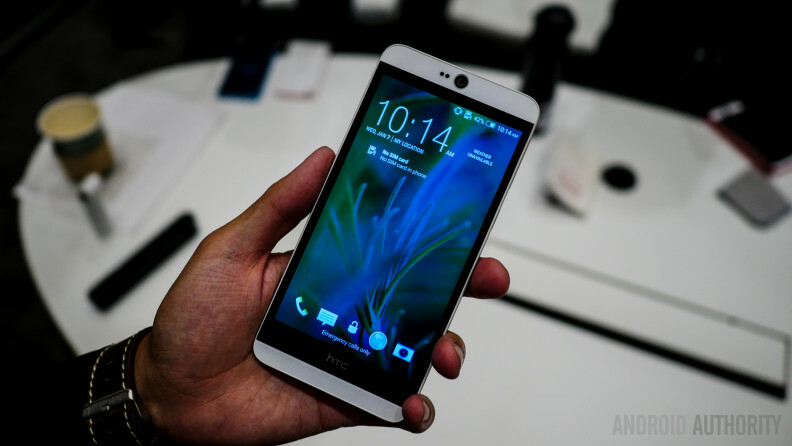 At CES in Las Vegas, we had the opportunity to spend some time with HTC’s latest mid-range smartphone, the Desire 826. Announced this week as a variant of the Desire 820, the 826 will be available in China and other Asian regions, with a potential rollout in other markets later this year. HTC has put a lot of thought and work into its mid-range offerings lately, and it looks like customers are rewarding the effort, as the company just announced its first quarterly sales increase in three years. Some Desire phones are firmly at the upper end of the mid-range, and some may even call them flagships. The Desire 826 is no exception. You may be forgiven to mistake the new 826 for one of last year’s HTCs, as it features a design that iterates on previous Desire phones. There’s a smooth polycarbonate unibody that feels solidly build, with a rubbery “ring” around its edges in a contrasting color. When it comes to looks, the Desire 826 feels like a cross between the Desire 820 and the selfie-focused Desire Eye, both released last fall. The two-tone device features rounded edges, which, in combination with the soft touch texture makes handling a breeze. However, the phone is a bit on the heavy side, at roughly 180 grams. A plastic flap on the side hides the microSD and two SIM slots, while the audio jack is located at the top, with the USB port on the bottom. Located on the right side, the power button and volume rocker are almost flush with the body, which could make them a bit hard to operate. On the front, we have the well-known BoomSound speakers, camouflaged into the screen’s margins, with the large camera lens dominating the top, just like on the Desire Eye. The display is a beautiful 5.5-inch Full HD LCD, and it looks great, as you can see for yourself. There are Quad HD displays out there, but this 400-ppi screen is almost as good. Moving on to the internal spec sheet, the Desire 826 is powered by a Snapdragon 615 processor, which is an octa-core 64-bit that you’re going to see in many mid-rangers over the following months. There’s 2GB of RAM, 16GB of storage, with microSD card support, LTE support, and a decent 2600 mAh battery. The rear camera is a 13MP shooter, while on the front, HTC used a 4MP UltraPixel shooter like the one found on the One (M8). It appears that HTC is experimenting with various combinations of cameras for its top devices, and this time, it’s interesting to see the UltraPixel technology used for the front cam. This could be a good idea, because selfie takers are probably more interested in looking good in the picture, even in low light, then in getting a very detailed shot. The Desire 826 is HTC’s first device running Lollipop out of the box, of course with HTC’s proprietary Sense modifications. There are not many visible changes in Sense on the Desire 826, and, all in all, the device will feel very familiar to any HTC fan. Staples like Zoe and the BlinkFeed homescreen app are present and accounted for. 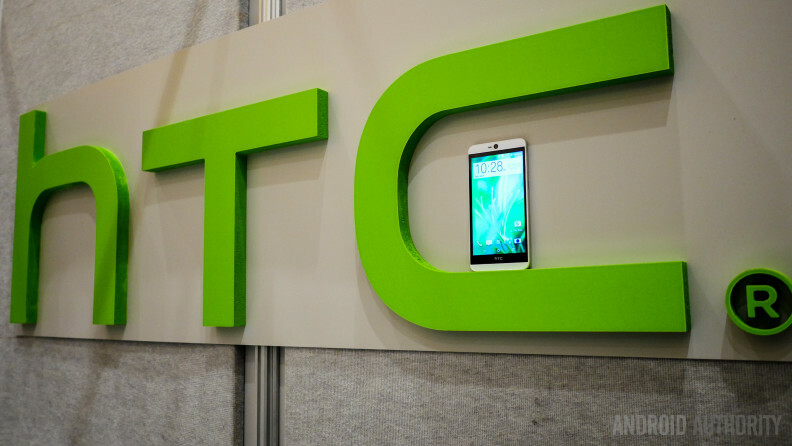 Bottom line, the Desire 826 looks to be another solid offering from HTC, that could help the Taiwanese company improve its standing in the crucial middle portion of the market. We’ll be giving the 826 a closer inspection in the weeks ahead, so stay tuned for more.